Build Muscle: Top 5 MUSTS! How is it some build muscle with, seemingly, little to no effort? Putting meat on the bones comes easy for some: they’ll do a couple curls and drink a glass of milk then BAM, they’re swole. For the rest of us, it can feel like we have to grind and suffer day in and day out for an ounce or two of muscle. The methods used and the advice given can sometimes become overwhelming. Sometimes you’ll hear fitness experts give advice that can be contradictory or confusing, or just plain unreasonable for you and your lifestyle. Amongst the sea of information on the quest for building muscle out there, here are my top five tips for beefing up. If your goal is purely to build muscle and you couldn’t care less about your deadlift max, that’s great! Good for you, and to each their own. However, understand that as you get stronger you can increase the muscle building stimulus by utilizing greater loads. 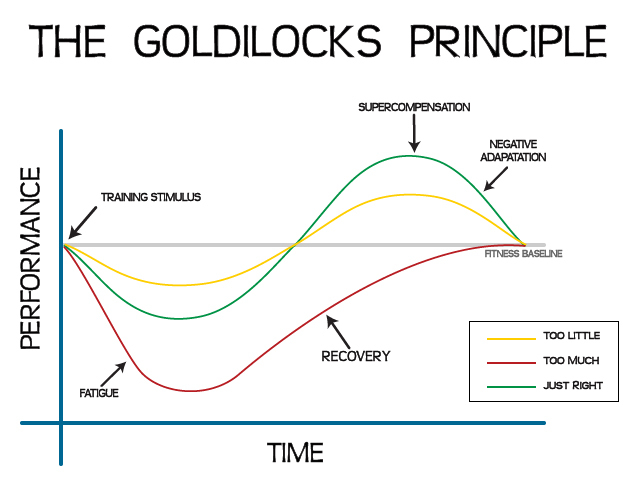 We know we need time under tension via resistance training to stimulate growth, but if you continue using the same loading schemes over a period of time your body will eventually adapt and the stimulus dies. How do we avoid this? Focus on getting stronger! Have a handful of “indicator lifts” to use to track progress. These lifts are ideally big compound lifts that you strive to become stronger in. Personally I use the the biggie compound exercises: back squat, deadlift, bench press, and overhead press to track my progress in strength. Other good options to use are any squat exercise variation (front, box, goblet), push-ups, pull-ups, single leg movements, row exercise variations, prowler work, or farmer’s walks. Heck, if your goal is to grow enormous biceps focus on getting stronger at the curl. The point is we want to look back at our own records after months and years pass and see that we are capable of throwing more weights around. If you make awesome improvements in strength over a significant length of time I’d be willing to bet that you’ve made progress in your lean body mass as well. The powerlifter, on the other hand, may work up to a heavy single on the bench, do a few sets of rows and go home. Now this is a very simplified comparison of the two training disciplines but you get the message: if mass is your goal, you need more volume in your workouts. More volume, however, does NOT necessarily mean that you have to be lifting in the 10-20 range for each exercise. If you did that, you’d be sacrificing too much tension to get those reps in. Try some different set x rep schemes that will allow for significant volume with moderately heavy weight. 7 sets of 4, 5 sets of 5, and 4 sets of 6 are all good options, especially for your “main movement” of the day. This is a problem for a lot of younger athletes that stay very active year-round. You need food to live, and you need food for energy, but you need even MORE food to build muscle. Be honest with yourself! You want to be bigger and stronger but all you had for breakfast was… nothing?! Re-think that strategy. The nutritional side of muscle gain is underestimated too often, and it needs to be a consistent effort everday. If you eat like an infant all week, but binge at a Chinese buffet on Saturday it doesn’t count. Eat a lot of good food every single day. Sometimes it’s not an issue of eating enough food, but eating enough of the right foods. A diet consistent with cookies and cokes probably won’t be the key to building a big strong body that you work so hard for. Keep a food log and make sure you’re eating right. If your still confused and overwhelmed, just have Kelsey analyze your diet and she’ll tell you everything you’re doing wrong. Your hormones are the key to growth. Without them we’d be nothing. No need to go into a complex physiology lesson right now, but here are some quick tips you should keep in mind. Testosterone: Stimulated by lifting heavy weights. Hit it hard and heavy, and get adequate rest between sets. Human Growth Hormone: Stimulated by moderate weights, higher volume and lower rest periods. Cortisol: Evil. Catabolic stress hormone that doesn’t want you to gain muscle. Keep it low by getting enough sleep and doing whatever helps you de-stress your life. Building muscle takes hard work and focus. You can’t just casually hit the gym once every couple of weeks and expect huge gains. Lift and eat with a purpose, and be stubbornly consistent. If you hit a plateau, change something up and keep grinding. Make your goal important, and put in the necessary effort it takes to make it happen!